Surprise! 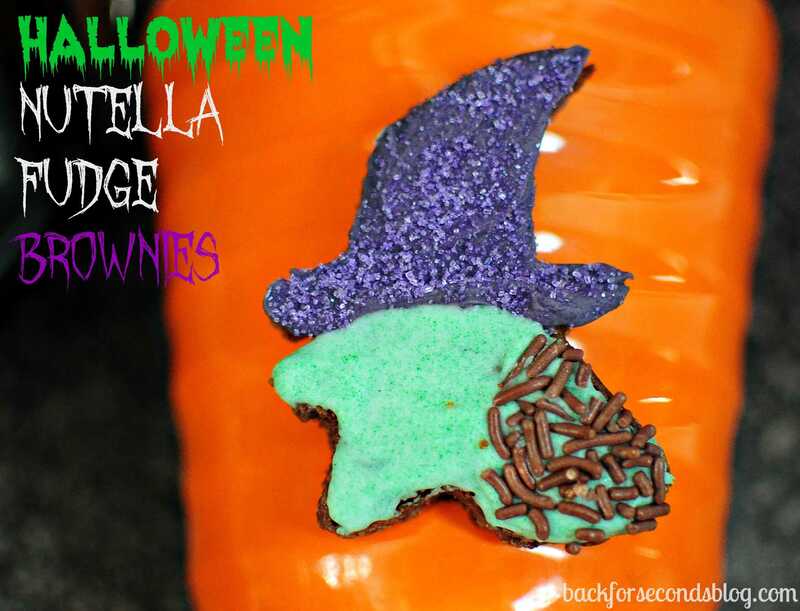 I have another brownie recipe for you! What can I say? I love brownies! But these are a little more special than your run of the mill brownies. You see, I added a giant spoonful of nutella into the mix making these guys even more fudgy with a splash of that wonderful hazelnut goodness. 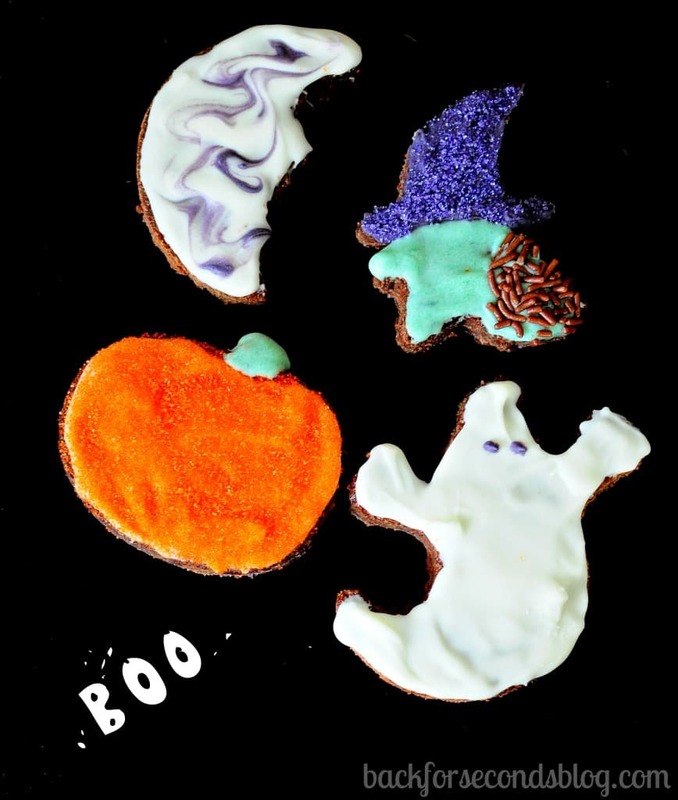 Then I used cookie cutters to make spooky Halloween shapes, and slathered on some white chocolate and a healthy dose of sprinkles. 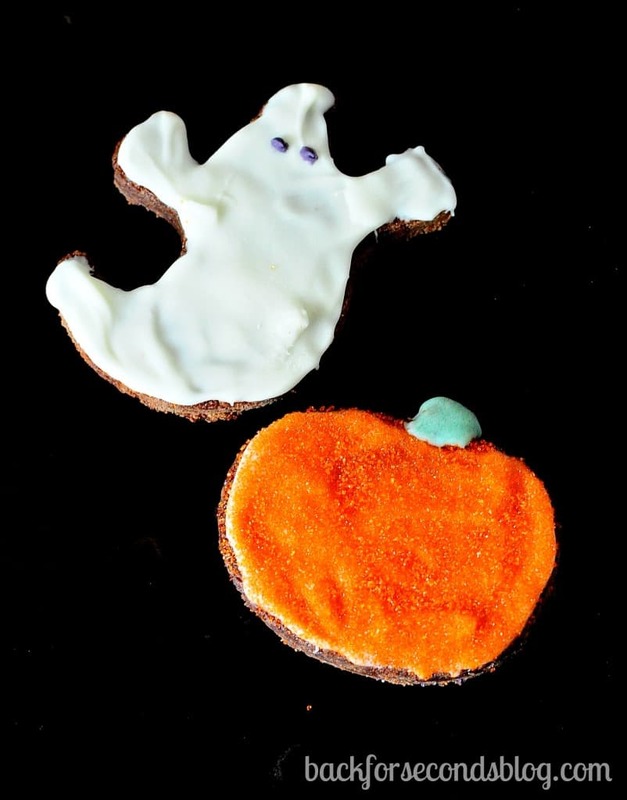 Halloween is almost here so grab some friends or your kids and bake up this fun and easy recipe – you will have a blast! I just tried Nutella for the first time not too long ago! These sound delish!